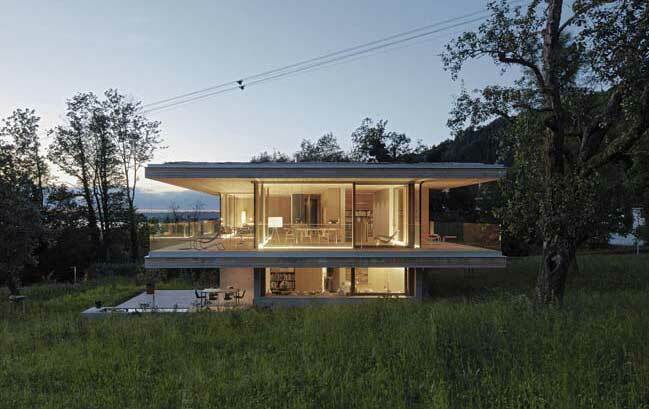 Designed by Dietrich | Untertrifalle. 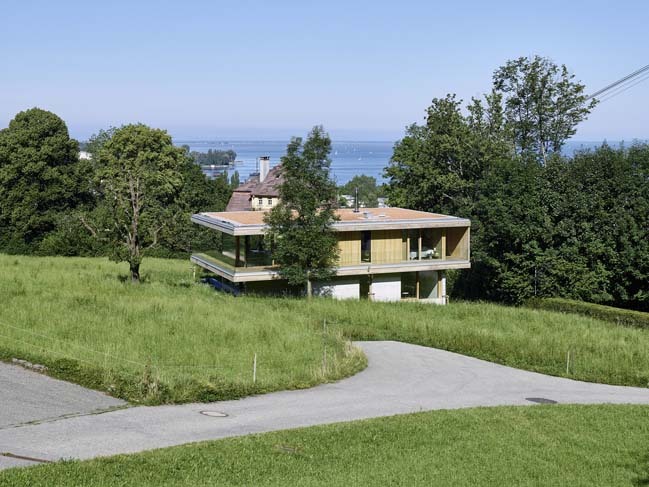 House D is a 3-stories modern house that has open floorplans and generous glazing allow for magnificent views over the surrounding countryside and Lake Constance. 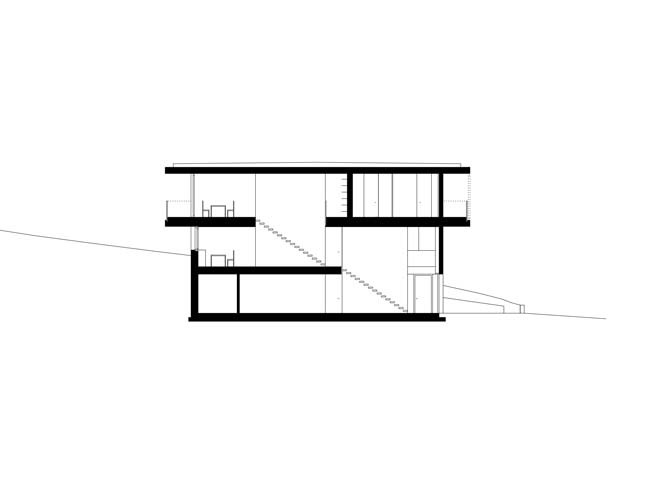 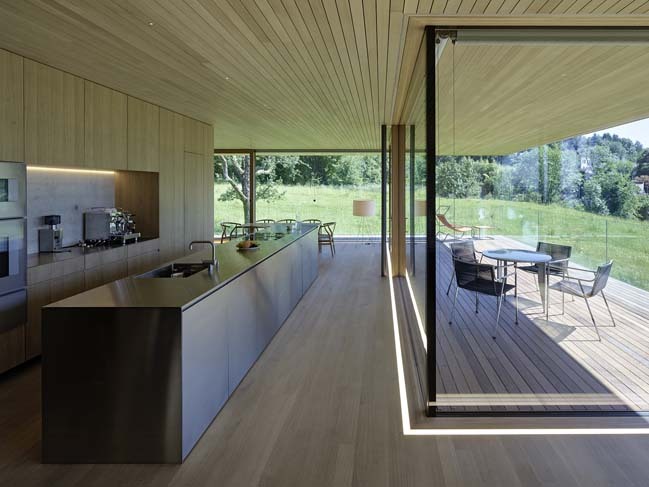 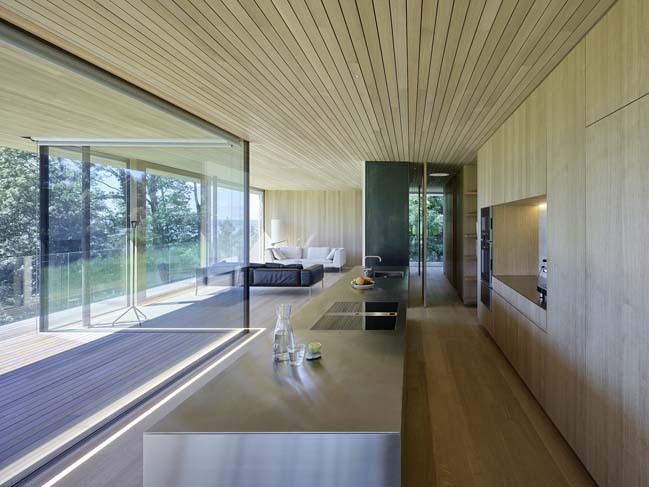 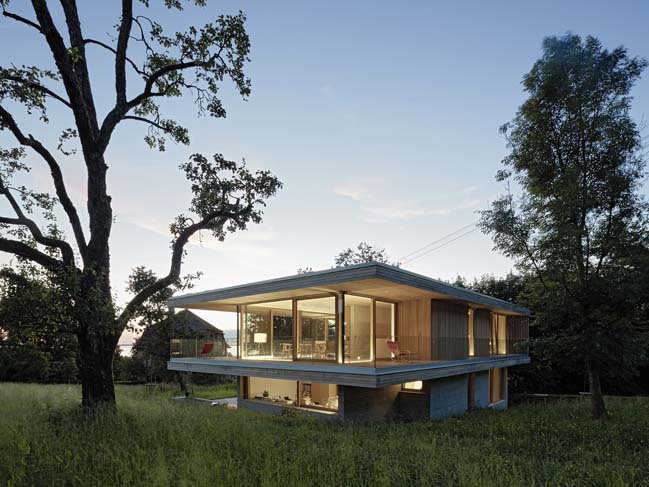 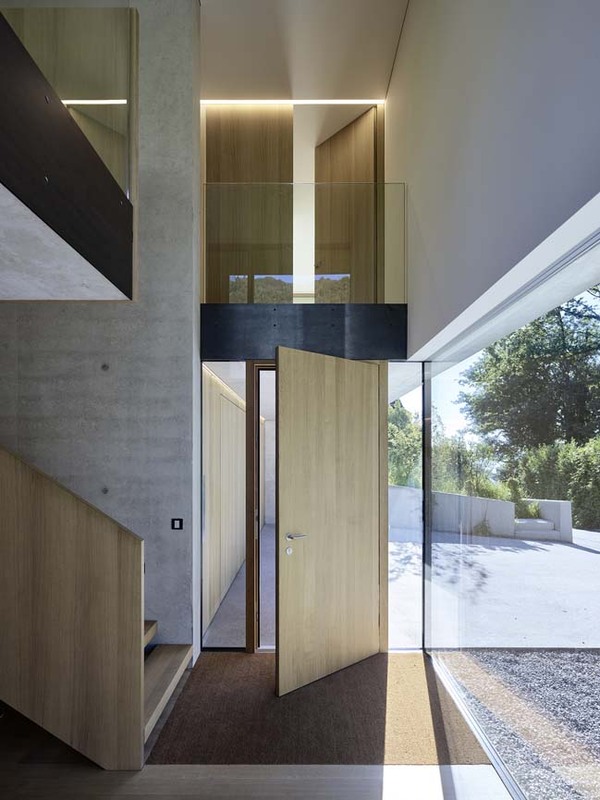 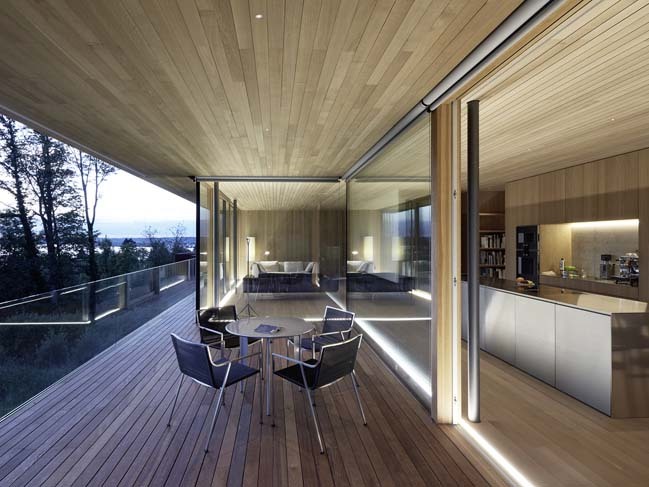 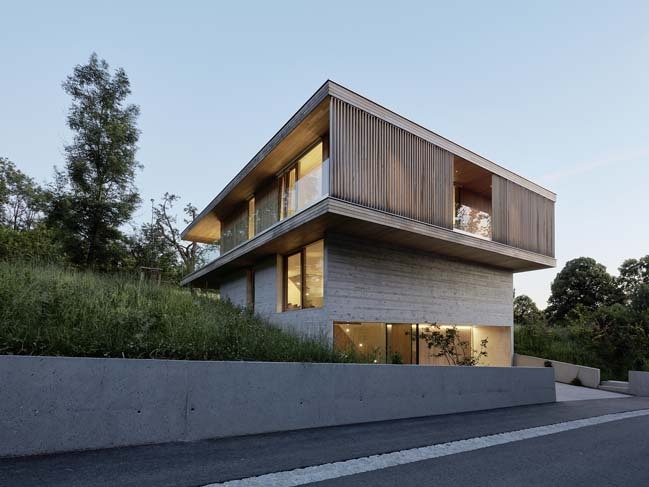 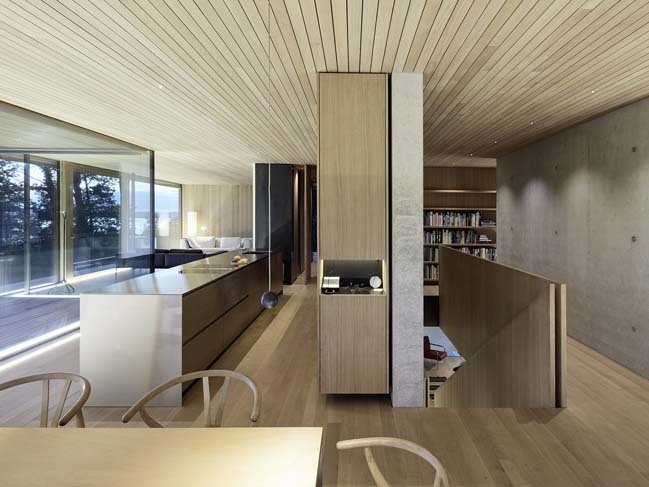 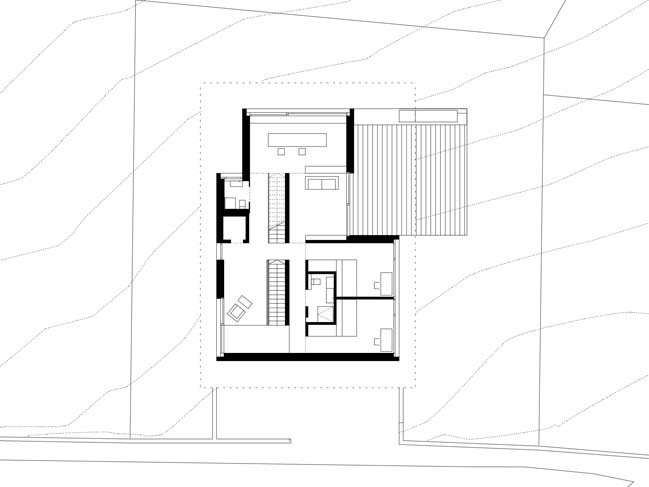 From the architects: Located on a mountain overlooking Bregenz, the home is stratified into 3 stories, with the Entrée and utilities located on the first floor, guest and children′s rooms on the second, and Master bedroom and an open layout kitchen+dining+living room on the third. 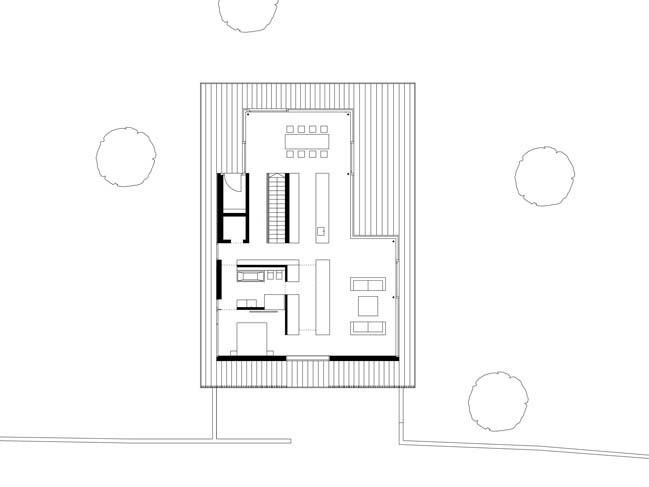 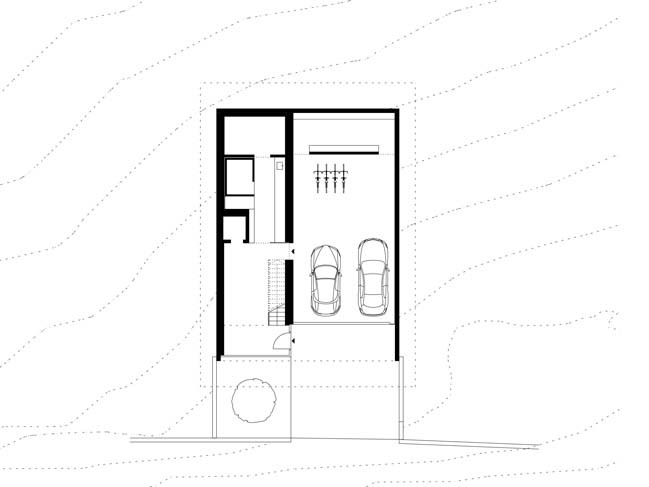 In order to strengthen the connection to the natural environment, the third floor also boasts a patio which wraps around the entirety of the building. 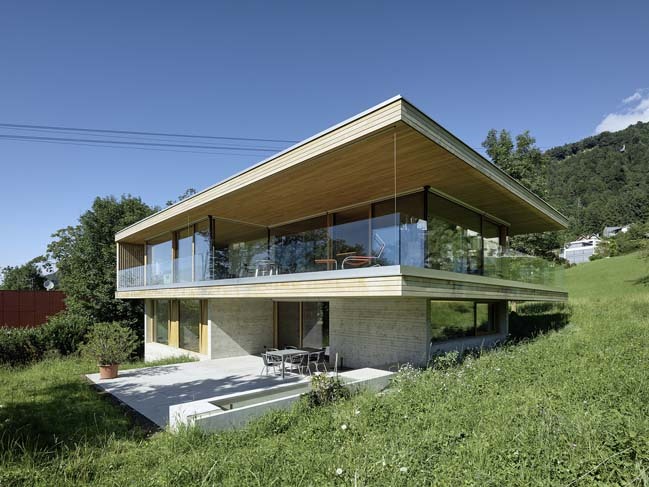 The geometric form of the home, combined with the architect′s decision to construct with concrete and wood, create a powerful building that seems to blend into the surrounding landscape. 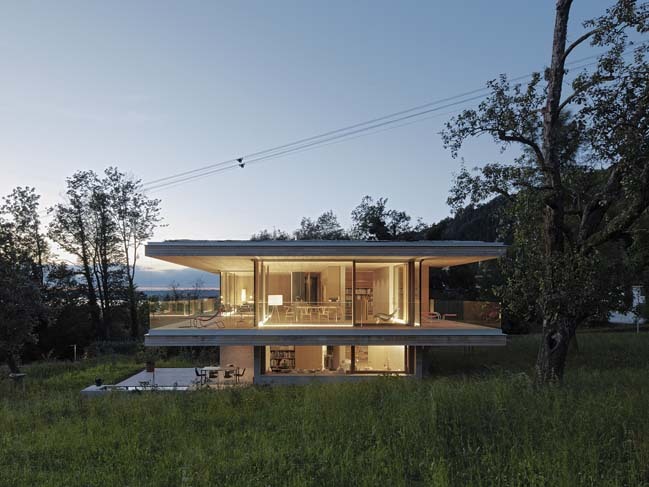 Furthermore, the attention to detail highlights the craftsmanship for which this region of Austria has become famous.